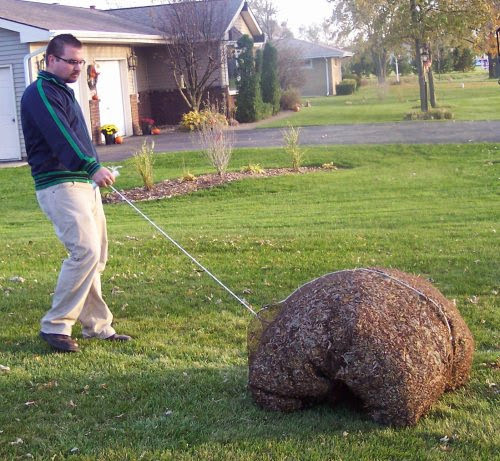 Collection of 'Yard Cleaning Tools and Gadgets' from all over the world to keep your yard clean. Leaf Collector: This leaf sweeper makes things easy for you, no more bending to collect the leaves, easy on your back, and its ten times faster than using a rake. Its 21-inch dual "combs" sweeps up leaves into its bag. 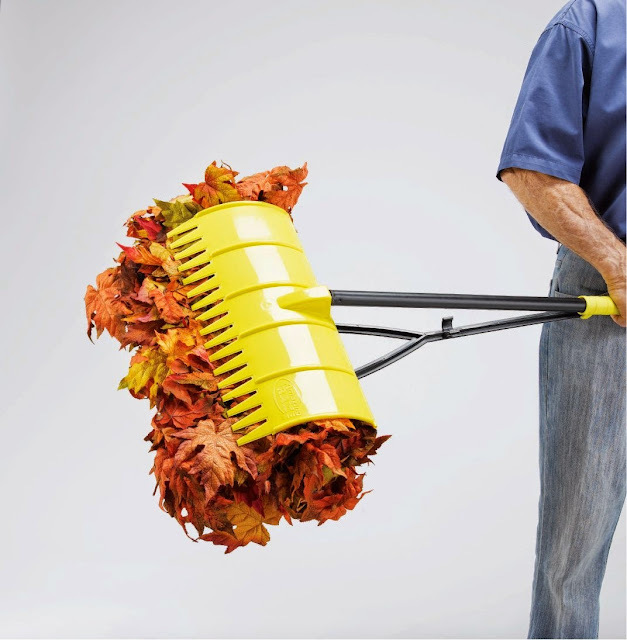 And it folds for easy off-season storage. 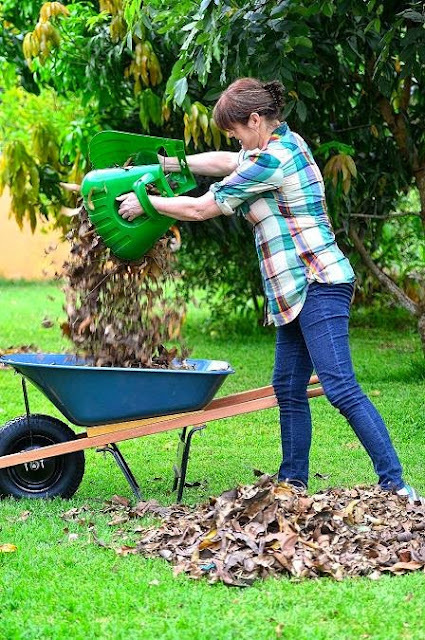 Oversize Leaf Claws: Place these super-sized leaf scoops on your hands to pick leaves faster. 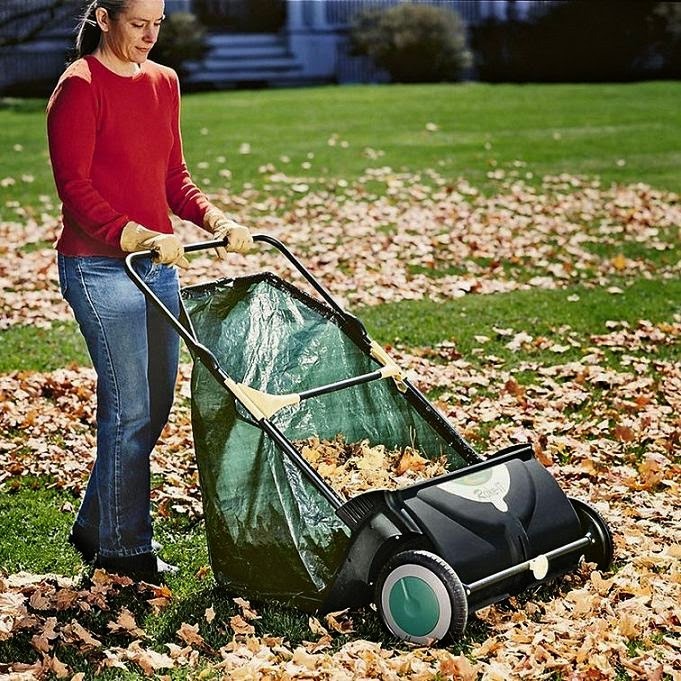 EZ Leaf Hauler: This cool hauler can hold five times more leaves compared to wheelbarrow. 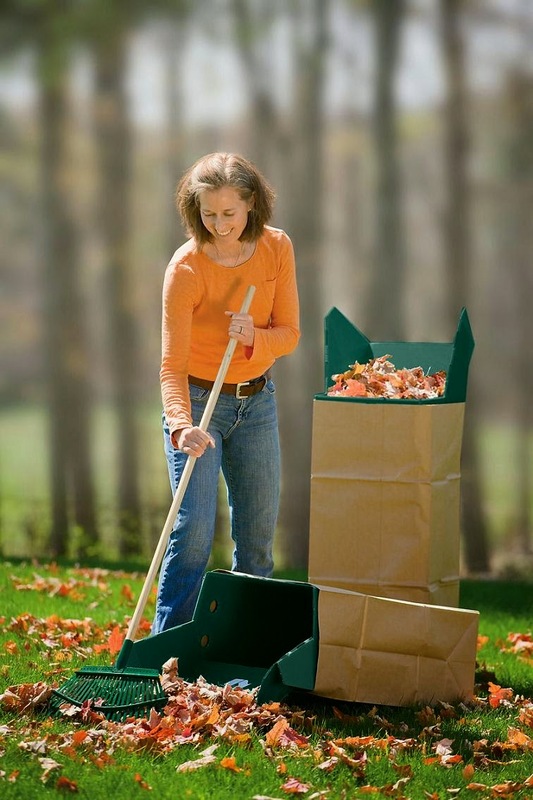 It features sturdy 12-to 24-inch sides, 35-square-feet of surface area and is simple to fold for compact storage. 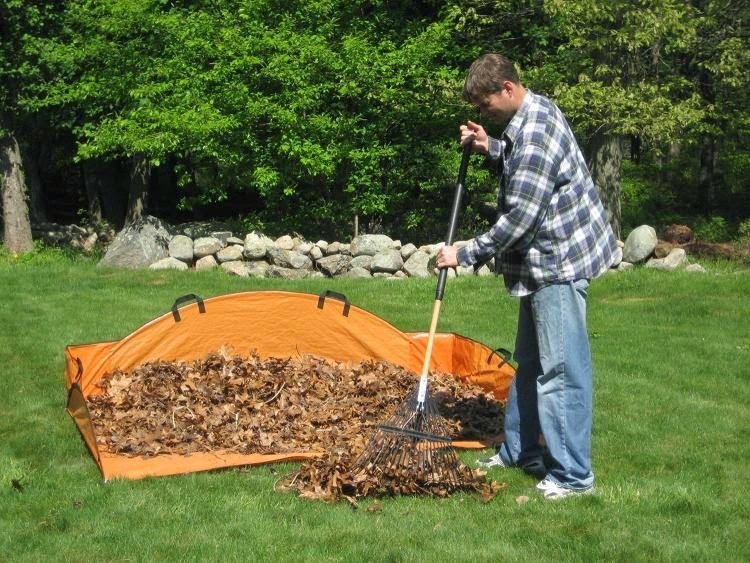 Leaf Loader: The 4 foot wide-mouth funnel will quickly fill and compress bags in one easy step. 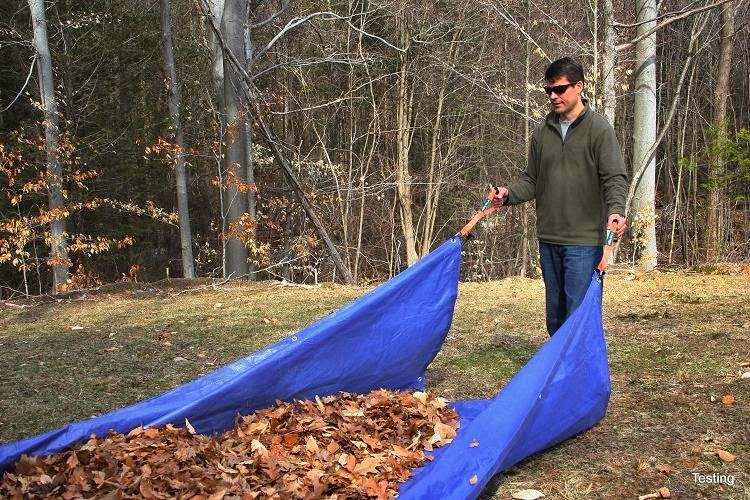 EZ Leaf Hauler - Tarp Holder: It makes tarp transport easy, attaches to all standard tarps and it's comfortable holders make tarp tugging easy. Leaf Net: Leaf net is 8 ft x 8 ft. when spread, rake the leaves into it and pull the string to turn it into a bag. 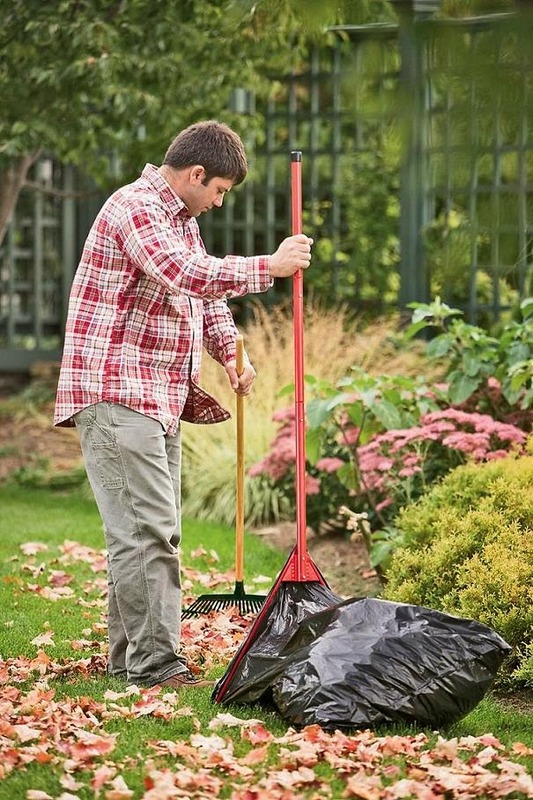 Amazing Rake: Its 3 tools in 1; rake , pickup tool and scoop. 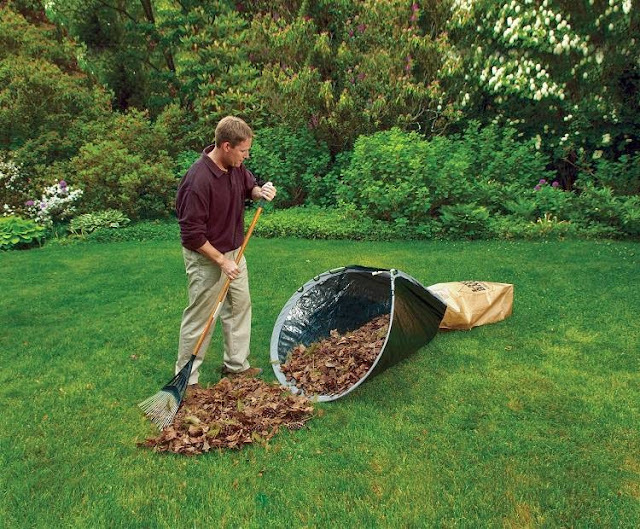 Leaf Chute: Just place this three-sided plastic chute into a standard 30 gallon paper yard waste bag to hold it open and keep it upright. You can lay the bag on the ground and rake leaves right up into the bag. Snapbagger: The Snapbagger can be placed on a 33-gallon trash bag and it holds the bag open for easy cleanup. Leaf Lugger: The Leaf Lugger makes moving of large quantities of leaves from your yard easy.